What is a Care ISA? Growing old is inevitable. Planning for life after retirement is vital. As more of us are living for longer there is a good chance that you will need to factor in paying for your care in older age too. There is to be an estimated funding gap of £5.5billion in social care in 2020-2021. Which is set to rise to £12billion by 2030 as the NHS and local authorities struggle to cope with the ageing population. This has prompted the government to propose a new Care ISA which aims to encourage us all to save for the care we may need in the future. 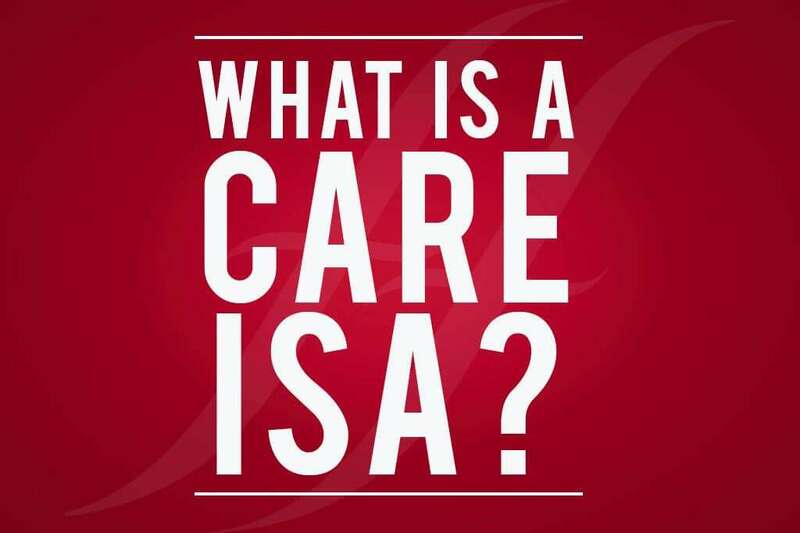 What is different about the Care ISA? The main benefit being proposed with the Care ISA is that it will be Inheritance Tax (IHT) free. If there is any money left in your Care ISA once you pass away, it will be passed on to your relatives tax free. It’s human nature that people are tempted to spend the money they have rather than save it for something they, ultimately, may not end up needing. Especially as the money we may have already saved into ISAs is subject to IHT. These ISAs, though, are often given away as part of IHT planning rather than retained for future use for care. Something that the government’s proposed Care ISA would address. Not everyone is excited about the idea of a Care ISA. It is estimated that only 5-10% of the population have an estate large enough to pay inheritance tax. This has led to some levelling the criticism that the Care ISA will only help the wealthy. There have also been comments that the Care ISA will not help to solve the care crisis. Those who are going to need care sooner won’t have enough time to save the money they need. The younger generation are too busy concentrating on trying to get on the property ladder and paying off their student debts. Thinking about the care they may or may not need in 50 or 60 years time is the least of their worries. There are still a few questions to be answered. Such as, would there be a limit on how much could be transferred into the ISA? It has been suggested that there would be a cap on the Care ISA which would reflect the cost of care, but this remains to be confirmed. It’s also not yet clear whether the money could be accessed for other purposes should it be needed. We must remember the Care ISA is only being proposed by the government at this point. Only time will tell if the government will choose to pursue this Care ISA option, or if another idea to solve the care crisis may be put on the table. No matter what the outcome, it’s always best to get advice from an independent financial advisor when planning your financial future. Get in touch with us if you are looking for some advice on paying for care or IHT.